Dining sets are one of the most major pieces of furnishings in a household. From eating to keeping things, a dining table is the seat of almost all household chores. Inevitably, the chairs are also an important part of the whole ensemble. The dining set you have defines the style of your household and is definitely something to show off to your guests. Thus, why not buy the best? 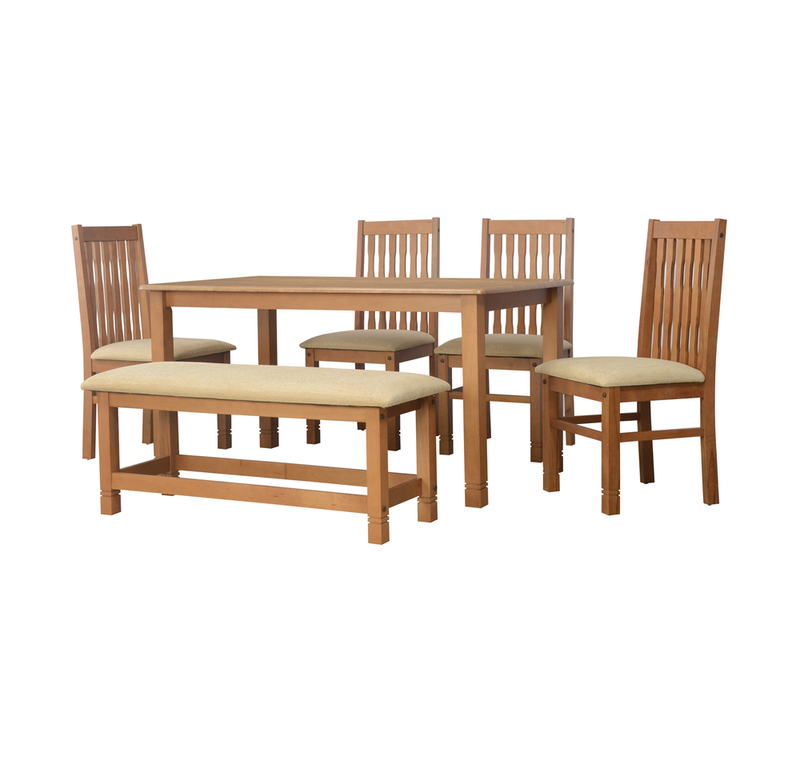 The Roosey Dining kit is an elegant ensemble of a dining table, 3 chairs and 1 bench. The set comes with its own upholstery which has an elegant walnut colour. The frame of the ensemble is made up of German beechwood and the table top is made up of Veneer and particle board. The upholstery is made up of polyester and the ensemble has a melamine finish. The dining set is very elegant and useful. The extra bench is an added advantage.